DST Exports is manufacture and exporter of horse drawn carriages, wedding mandap, wooden mandaps, wedding stages, wedding furniture, wedding swings, wedding dolis, backdrop curtains, backdrop fiber panels, and all wedding decoration items from India to all over world like some major countries USA , Canada , UK , Fiji , France , Germany , Netherlands , South Africa , West indies , Nigeria and many more other countries. 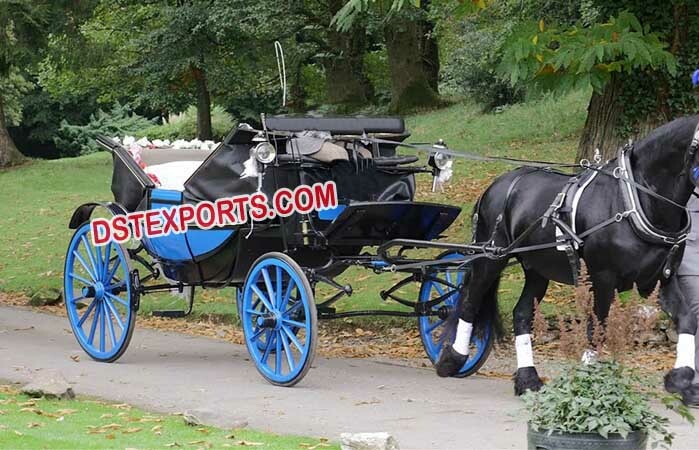 DST Exports are best manufacturers of all types of horse drawn carriages such as Cinderella Horse Carriage, Funereal Horse Carriage, Wedding Horse Carriages, and Victoria Horse Carriage, Vis a Vis Carriage, Royal Carriage, and Wedding Ruth etc. We have different types horse carriages according to the clients� requirement. These carriages are available in two seated, three seater, four seater, five seater and six seater etc. We also supplied Horse Carriage Decorations and accessories such as horse belts, carriages lamps etc so please feel free to contact us and give us chance to serve you the best.